I allowed myself to be still. What did I do with the stillness? How did I spend my time in stillness? I spied a bird. 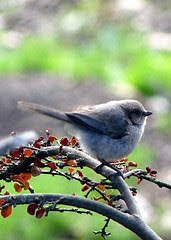 A petite, stone-colored bird perched on the branch of leafless shrubbery outside my living room window. I’d been reading a book yesterday when the bird encounter occurred. 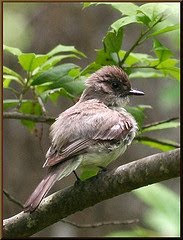 One bird poised, its body stationary, with wiry claws wrapped around the twiggy branch. This bird snapped its head every which direction, one second to the next. It appeared to be in registration mode. A leaf fluttered. Registered. A gaggle of geese honked above its head. Registered. The whiff of a meal beneath the earth’s wet surface. Registered. It took it in. Took it in. Took it all in. Its head swiveled with interest and reticent, instant understanding of the impressions 360 degrees around the shrubbery. This bird registered, while flitting from attention to attention. Registered and perhaps one might argue, absorbed. Digested life. Too much to take in. Not enough time to ingest it all in one fell swoop. Eyes on that falling leaf. Hearing tuned to a calling bird from a tree far in the distance. This bird’s head jerked readily. Beady bird eyes glanced up, and then down, then left, and then right. Pattern repeated, opposite directions. A nervous bird. A bird with an abundance of commotion to decide between. No stillness. No rest. Ill at ease. Unsettled. Cautious to the point of fear. Distracted by life. I saw the first and second bird in one bird. Two in one. The same bird. ~~~Of course this post isn’t just for the birds. Able to retain multiple events at once. Check. Able to multi-task and absorb multiple happenings simultaneously. Check. Able to digest life. Check. Able to be distracted by life. Check. Our gifts can also be the place where we are vulnerable to weakness. I am both birds. I am two in one. But what of her song, sweet friend? I'll tell you her song: It is cheerful, hopeful. Slightly off key sometimes, and she's just fine with that. Because her song is not for the other birds, it's for the One who created her. She sings a joyful song to the One that feeds her, shelters her....LOVES her. I love your song, Wendy. Be blessed today. THis was beautiful:) Praying your day is so awesome! I love your analogy. Both birds are a image of me too. Attentive, distracted, eager, poised, reluctant all the calmness and fury of spirit in the same swoop. "Our gifts can also be the place where we are vulnerable to weakness". So true! It's a choice as to which bird we will be every day. Love this! Some days I am like the bird, doing too much at one time! There are times when I don't want to multi-task so much! When I want to just do one thing at a time and enjoy it! How cool to note that you had to be still in order to observe and learn from the bird. I think that is when we absorb the most and learn the most. Good job! I can too easily become 'distracted by life' and need to find a center more often. Prayer helps - as does taking the time to serve others or extend an extra long hug to my kids (you know, the kind that they say 'alright mom!'). It gives me focus for my day. On this Monday morning, I lift a simple amen at the words: "Our gifts can also be the place where we are vulnerable to weakness." Hm, I think I'd like to BE the first bird, but READ about the second in a book, in a character with those qualities that can lead so many places! What a wonderful post for a Monday morning. I am giving thought to both of those birds. Which am I right now? The frantic one, as I think of all I need to accomplish today and here I am reading blogs but I am so glad I did not miss yours. It might make a difference in how I look at my day. Wow. I never thought of myself as a bird. Until today. Lovely prose, Wendy. You are gifted indeed. Beautiful. I'm usually two birds, even though I'd really like to be just one sometimes. That's beautiful, Wendy! I felt I was being still in the moment with you. Awesome post Wendy! I agree... I am both birds too. Beautiful post! I love the new look to your blog, too! Beth, What a moving spin you put on this post. Thank you for that. Tamika, I've seen far too many Christians put on what seems like a mask, pretending they don't struggle. It's far too easy to see through those masks. I just out with it. Kristen, I'm a bit of both everyday, I suspect. Well Deborah, I need you to hang around my thoughts more often! :D I enjoy music. As far as where I've been, let's see...Germany, England, Connecticut, Ohio, Georgia, Washington, Kentucky...and quite a few other places. Ava, We certainly open ourselves up to learning more when we are still, I believe. Tess, Extra long hugs are good, good stuff. And I liked how you mentioned serving. So true! Bina, I've seen it happen. Joanne, What a thrilling observation. And I'd like to think I incorporate a little of both birds into my works. T.Anne, Your words carried weight. Diane, Now I'm curious if it did impact the way you continued on in your day? Danyelle, For the first time in my life, I've found I really need to make concerted efforts to nail this balance thing. It's twisty and tricky. Ellie, Thank you. It's nice to know what you are, isn't it? Karen, I like how you mentioned a tree in there. A whole other post for a whole other time of sitting still. Katie, I'm proud of your husband for inventing that song (FB reference). Thanks...hoping people will still know they are in my thoughts. I must say, I just cracked up at Will Ferrell's appearance on Men vs. Wild! I loved it. I wish I could reveal all this other insightful and mind-blowing stuff that happened today, but I can't. Our dog got skunkified. That's what I can give you. And now it will be until spring that our house has a slight pleasant odor of skunk juice. Ahhh! Yum. With that, I'll wish you sweet dreams filled with fragrant aromas. Dream smelling chocolate. Ooh, I like this new look! Such a poetic and thought-provoking post. This is absolutely beautiful. Thank you for touching my heart. Blessings and hugs.